In the ocean, Aquaman's self esteem issues are dealt with by a manatee he calls his therapist. 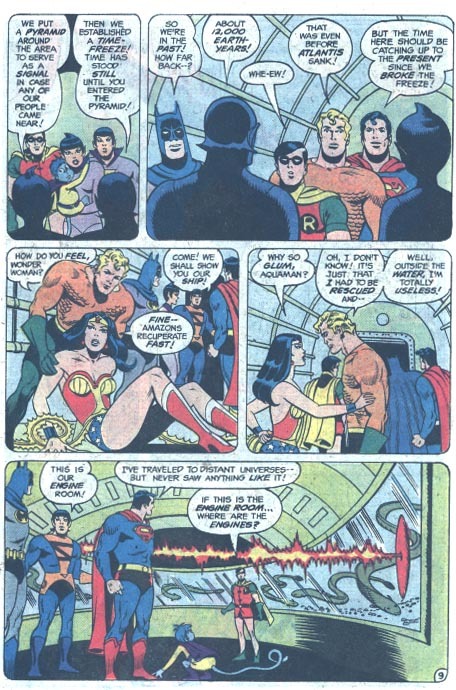 Today, his sea-cow psychiatrist is nowhere to be found, and Aquaman has a rare moment of lucidity, realizing the Super Friends would be better off with a legless midget with a stick. The other Super Friends politely ignore him as they fight back the word, "Duh."